The ramp from I-75 northbound to I-595 eastbound will be closed overnight Wednesday, July 27;Thursday, July 28 and Sunday, July 31 between 10 p.m. and 6 a.m. 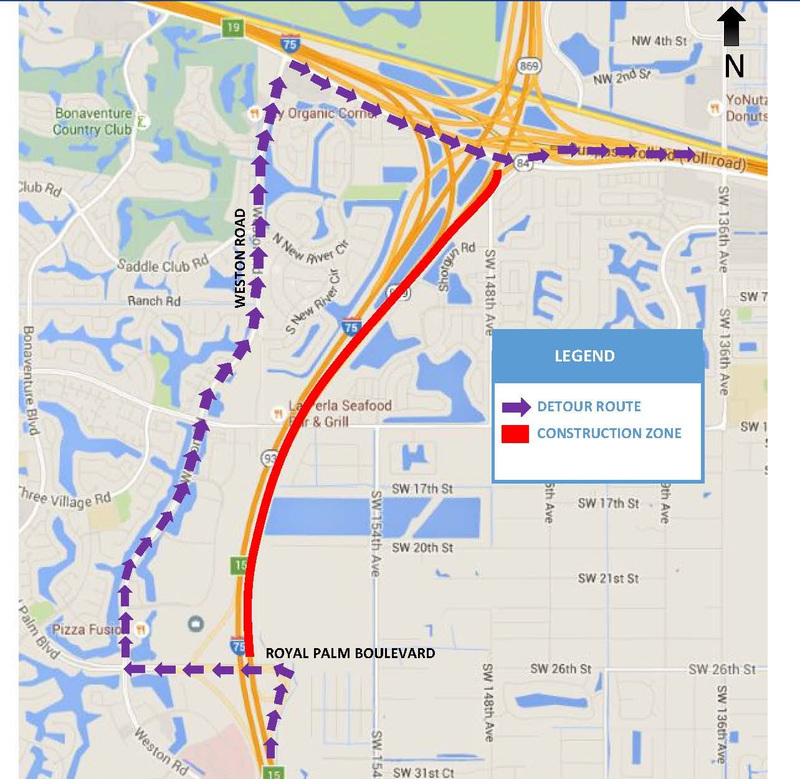 Motorists will be detoured to exit at Royal Palm Boulevard (Exit 15) and go west on Royal Palm Boulevard to Weston Road, north on Weston Road to State Road 84 and east on SR 84 to enter I-595 eastbound. Please follow the posted detour. Please note that this schedule may change due to inclement weather or other unexpected conditions. This entry was posted in News on July 27, 2016 by Realty Services Florida.